Our computers are an integral part of our lives today. We use them for work and for recreational purpose. For many of us, our computer systems are what we use to stay in contact with loved ones around the world. However, despite all that, computer systems are not without their flaws, as they can become subject to a whole host of issues, system freezing being but one of them. Fortunately, there are a number of things that you can do to troubleshoot and repair these problems. A computer that has frozen is one that is totally unresponsive. Your computer has frozen when it has become unresponsive to both keyboard and mouse input. Computer freezing is a pretty common issue, with a number of reasons to blame for it. Many of these reasons are rather common, which you should be able to tackle by yourself; however there are those serious cases, where you may need to seek the help of a professional. Remember, despite the complexity of computers, with the various things that you can do on them, in the wrong hands they can become broken beyond repair, which is something you’d want to prevent from happening. So knowing exactly what’s happening with your computer is crucial when it comes to repairing it. When your computer freezes, the first thing you’ll want to do is find out what is causing it. There are several things that can be causing it, which is why it’s more prudent to check from the simplest of causes to the more complex. For example, many users believe that their computer has frozen the moment their mouse becomes unresponsive, but in some cases it may be the mouse that is actually at fault. So you’d want to check your mouse in that particular situation. That said, I’ve outlined a number of solutions that the user should look at when trying to fix this issue. A computer may lock up because of a corrupted or outdated driver. For example, if your graphics card drivers are incompatible with a game you are playing, the system may freeze during game play. The first thing you’ll want to do is make sure there are no errors in Windows Device Manager, make sure there’s nothing listed as “Other Devices” in there. You also want to be on the lookout for devices with yellow exclamation marks and red X next to them. One indicates a possible driver fault, whereas the other may represent a disabled device. If your computer processor runs at too hot a temperature, it can cause your system to freeze. If you’ve heard any unusual sounds or maybe none at all, there is a good chance that the CPU fan has stopped spinning. The first thing you’ll want to verify is that the power supply fan is working as normal, to do that, simply check the back of the computer. For the other fans, you can either open up the computer or you can use computer monitor software. Note: On laptop computers you’ll want to ensure the room your using the computer in is suitably cooled, you’ll also want to use computer monitoring software to check whether the fan(s) inside are spinning. A hardware component that has been wrongly configured or is malfunctioning is capable of causing the system to freeze. If you recently added a new hardware component to your computer, consider removing it, temporarily, in order to verify whether or not it’s the culprit of your problem. You also want to verify that it’s not conflicting with any other device while installed in your computer (using Device Manager). If you haven’t installed anything in your computer recently, then you may want to consider checking the components that are already installed. For example, you could check the sound card, graphics card, network card and RAM. Simply, take the components out and run the computer without them, that way you will be able to better evaluate whether or not it’s the culprit. 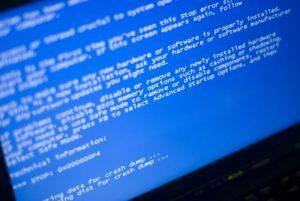 A computer that is constantly freezing and locking up is often caused by a software related problem. If your computer locks up every time you attempt to run a particular problem, then you may want to ensure you have the latest updates for that program running on your computer. You should be able to find these updates on the developers’ website. If after attempting all of the methods outlined above you’re still having problems with constantly lock ups, then there is a strong chance that the problem is due to a corrupted operating system. You may want to consider running a repair installation, if that doesn’t work, then you will need to back everything up and completely reinstall your operating system (OS). Have you ever been in a situation where you have to battle out slow PC, hanging and all that? What method(s) did you use to fix it comprehensively? Please do share with us in the comments section below. Credit: This content is made possible by Uchenna Ani-Okoye of http://www.compuchenna.co.uk.